Temperature sensors like Thermister, IC LM34/35, Thermocoupler, RTD etc are used in various applications to detect temperature variations. These devices can switch off / on circuits when the temperature varies from the normal set level. 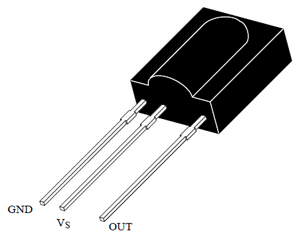 Photodiode is a type of light detector capable of converting light energy into either current or voltage, depending upon the mode of operation. Photodiodes are similar to typical semiconductor diodes except that they may be either exposed or packaged with a window to allow light to reach the sensitive part of the device.